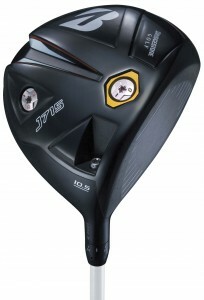 Bridgestone Golf’s new J715 460 driver will be available beginning Feb. 1 with a shelf price of $399. The J715 460 is the company’s first driver in four years and, according to Bridgestone, combines four technologies to maximize distance and accuracy off the tee. The Flex Action Speed Technology (F.A.S.T.) crown is extremely thin near the clubface and progressively thickens towards the club head rear to enable the crown to slightly flex at impact creating higher launch and increased repulsion. Patented face milling pattern works to reduce the common ball slippage at impact problem that drivers today encounter. Maintaining the ball’s position of impact leads to increased quality compression time that results in reduced spin (200-300 RPMs based on robot testing) for straighter and longer drives. Movable weights on multiple axes in the heel and center of the clubhead allow users to customize the center of gravity for desired spin and trajectory. J715 is completely Face and Lie angle adjustable, offering face angle adjustments of up to one degree (closed and opened) and lie angle settings of standard, one degree upright and two degrees upright. The J715 Driver will be available in lofts of 8.5, 9.5, 10.5 and 12 degrees and will be the first Bridgestone driver in the U.S. available in both left- and right-hand versions (left hand available in 9.5 and 10.5 lofts only).